Do you live in or around Westchester County? Are you looking for BVC products to be delivered to your doorstep? 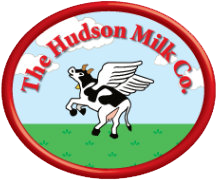 Contact Hudson Milk…. see details below. Do you own a business in or around the NYC area? Are you a Restaurant, Coffee shop, or Market owner looking for local, farm fresh Milk Products? Contact The Dairy Wagon OR Solex…. see details below. Do you live in or around the NYC or Long Island area? Do you live in Long Island? Contact Crestwood Farms…. see details below. Contact Green Market Dairy…. see details below.